The Internet of Things is not a new category, it is a gradual shift in modern culture. 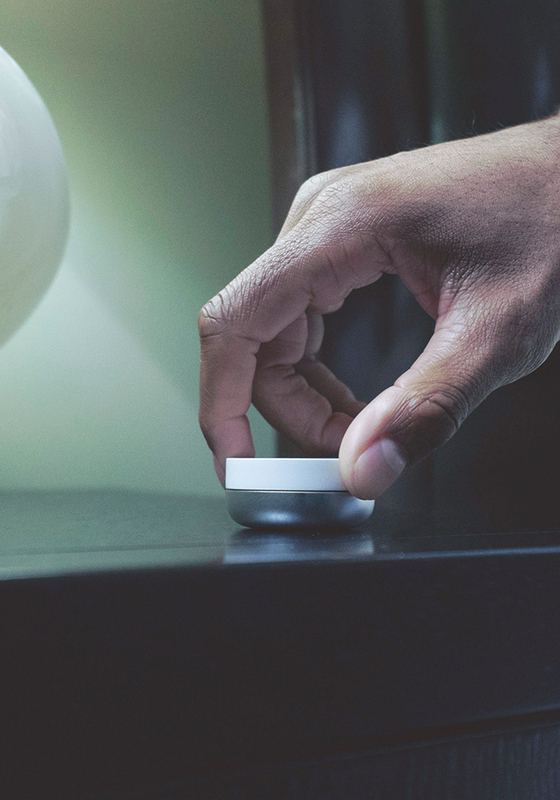 Smart, connected devices are changing the way we interact with technology and this shift demands a rethink in how we create products and services together. We need to design intelligent, meaningful services that adapt to the user’s changing needs and to the potential of new technology. Design Partners worked with Silvair to help pioneer people-centred smart home interactions. Effortless control of your technology should be the baseline promise of connected products; intuitive, intelligent artefacts that adapt to your needs. But many ‘smart’ devices require lengthy set-up time, unnecessary interactions and become obsolete as technology progresses. For products to become truly smart they need to incorporate flexibility and adaptability into their usage. Creative exploration of various future scenarios where smart-home users could benefit from intelligent controls. This was part of our Discovery Stage where we were identifying opportunity areas and a roadmap of products for Silvair in this space. Silvair Control is a gesture controlled device that creates natural interactions within intelligent environments. It allows users to control their lights, music, heating and connected devices around their home or office with gesture and touch straight out of the box. Users can touch, twist, flip and gesture in front of the Silvair Control to turn on lights, dim lights, open blinds, reduce volume or activate entertainment. 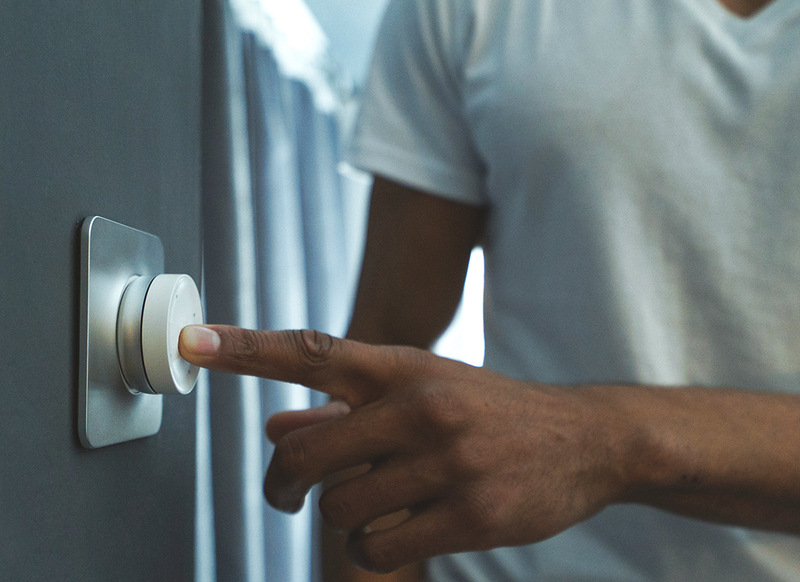 Its magnetic wall-mounted plate gives Silvair Control a home, making it as intuitive as a light-switch. Silvair Control was conceived to help users interact more seamlessly with multiple connected products in their smart home. A magnetic, anodised aluminium base and polycarbonate cap encapsulates Bluetooth, touch sensors, accelerometer, gyroscope, thermometer, proximity and ambient light sensors. Despite their flexibility, smartphones are not always the most convenient or natural input device for smart environments. For example, turning off your lights in an app could require up to six interactions, whereas flicking a light switch (or automated actions) can be instant. With those principles in mind, we designed the Silvair family of connected products. As consumers learn and as their home or office becomes smarter Silvair becomes more powerful and adaptable to their environment. The Silvair products are part of Silvair Mesh, an innovative platform of both hardware and software developed by Silvair that allows users to wirelessly configure, control and manage their environments to drive energy costs down, increase efficiency and improve well-being of building occupants. The platform of products we designed has established Silvair as the leading contributor in the Bluetooth Special Interest Group, paving the way for the Bluetooth Mesh that will make smart devices aware of the surrounding world and allow them to communicate with each other.